Swarovski EL 10x50 Swarovision - binoculars review - AllBinos.com . 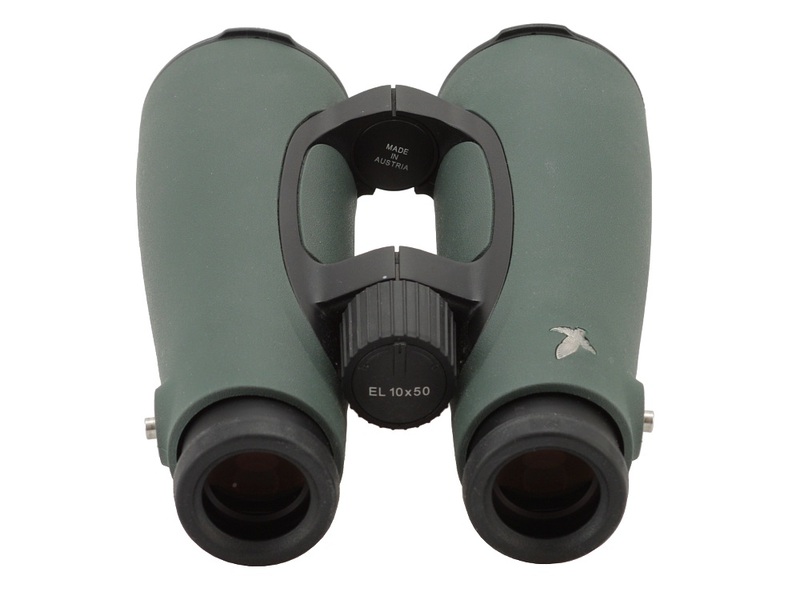 In 2009 ten years passed from the launch of the most expensive Swarovski binoculars series marked as EL. It consisted of four roof prism instruments with the following parameters: 8×32, 10×32, 8.5×42 and 10×42. 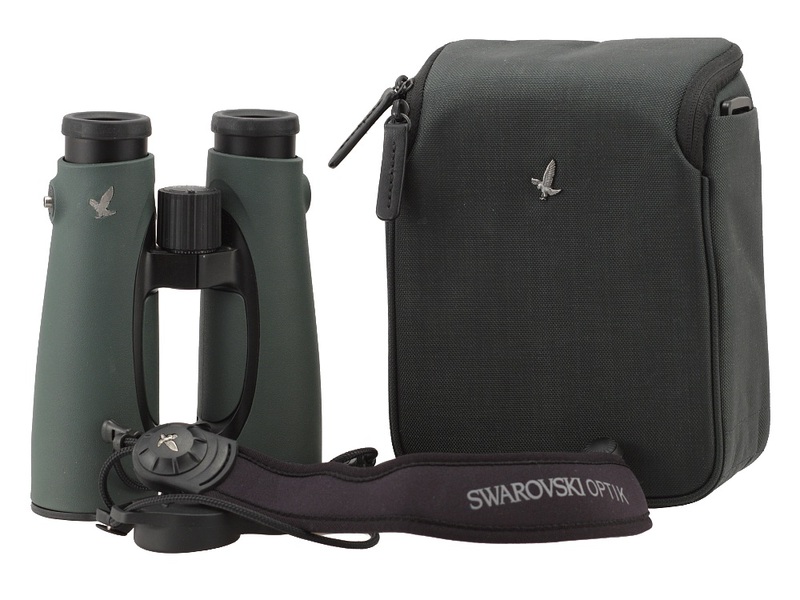 The Swarovski company decided to celebrate that anniversary by launching refreshed models of these well-known and popular binoculars. In October 2009 they informed that two new Swarovski EL Swarovision devices would be shown as the first, the 8.5×42 and the 10×42. What’s interesting, the next move was not about refreshing the 32 mm line models but about introducing brand new 50 mm devices. 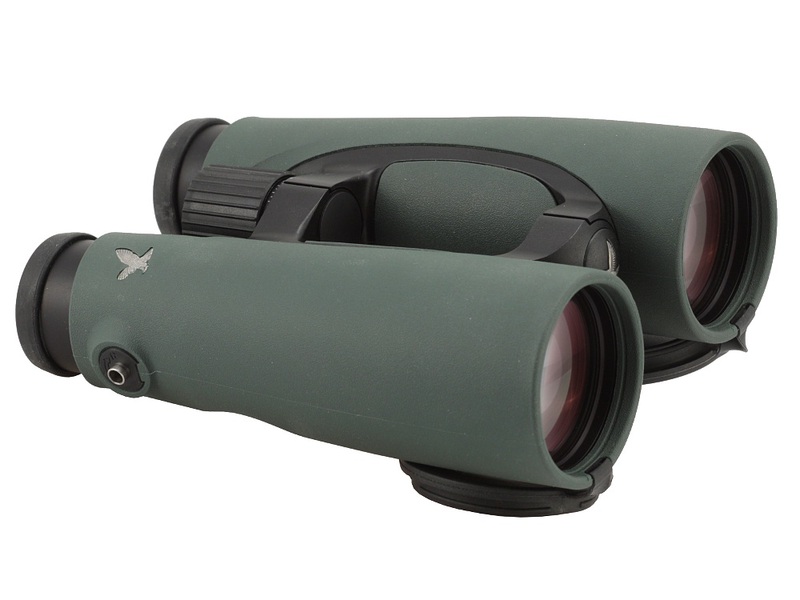 In January 2011 two Swarovski EL Swarovison binoculars, the 10×50 and the 12×50, were launched on the market and only in January 2012 new 8×32 and 10×32 models hit the shelves. Another slight refreshment of the series took place in July 2015. The producer added many novelties like straps with rotating, removable fastenings, hinged caps, a new padding and new focusing screws with reinforced surface and better anti-slippery properties. 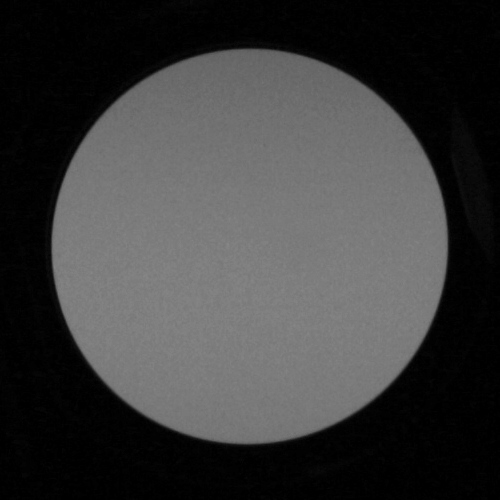 It’s possible antireflection coatings were improved as well but the optical construction remained the same. 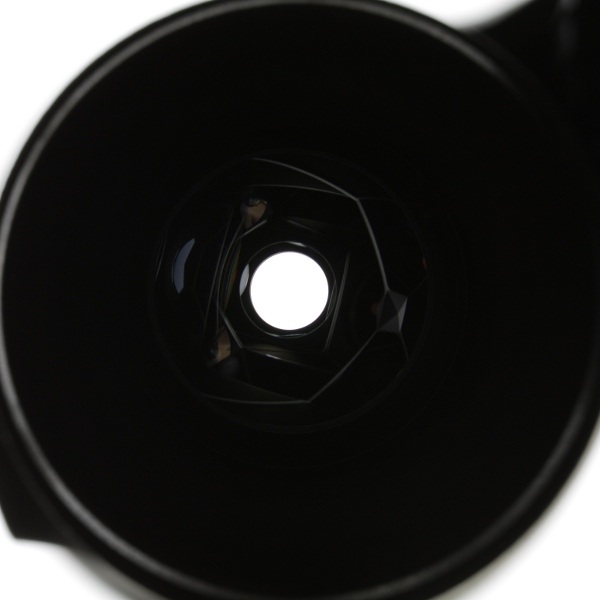 The company boasts of using objective lenses based on fluoride glass, wide angle eyepieces with field- flattening elements, top-of-the-range SWAROBRIGHT, SWAROTOP and SWARODUR coatings which are supposed to maximize the transmission of the instrument which field of view is also wider than in the case of the predecessors. 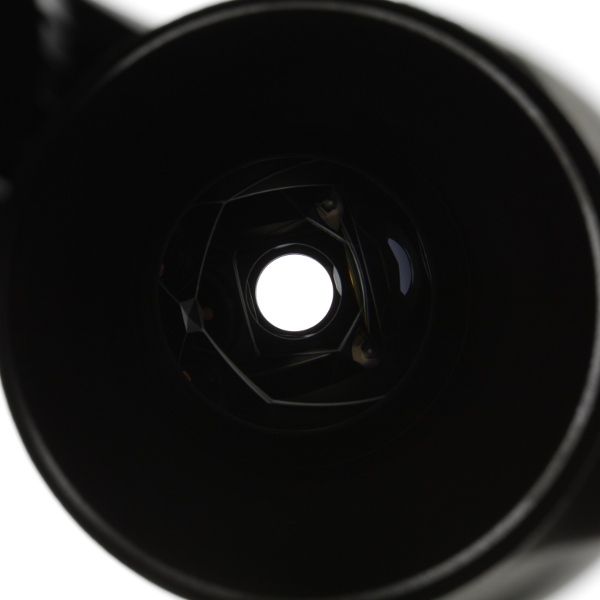 Additionally they mention dirt-proof SWAROCLEAN coatings, covering the exterior elements of objective lenses and eyepieces. Buyers get a field case, a strap, both caps and a digiscoping adapter. The binoculars come with a 10-year warranty period. Apparent field of view of 65.9 degrees. a bit too light area around exit pupils. There is an unusual story behind this review. One of our Readers has bought a brand new Swarovski EL 10×50 Swarovision and, during the observations, he was unpleasantly surprised. In his opinion the new instrument fared weaker against bright light than several other, much cheaper pairs of binoculars he owned. As the piece of equipment from a very renowned producer fell short of his expectations he decided to send it back and complain about it. 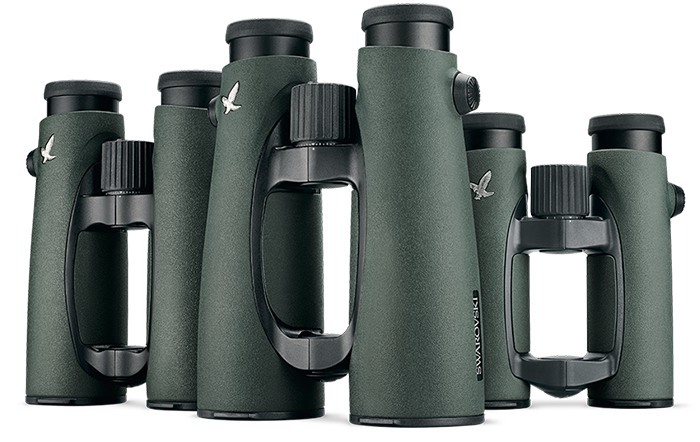 The Swarovski technical service looked at that particular specimen of the binoculars closely and they announced everything was in perfect order and in accordance with the highest company standards. Our Reader shared his frustration on our forum, asking whether other users/owners of that model have experienced the same problems. Practically all answers were negative. People praised Swarovski EL Swarovision devices, nobody has noticed similar flaws or any flaws at all. Usually I don’t test privately owned, used instruments but this time I decided to make an exception to the rule. Firstly, it was a new pair of binoculars, additionally tested by the Swarovski technical service, and pronounced to be in accordance with their highest standards. We could test not only a new set of binoculars which we hadn’t had an opportunity to handle before, but also the efficiency of the Swarovski technical service. Secondly, we were eager to clarify the doubts of one of our most faithful Readers. We felt it was an opportunity not to be missed. As soon as I got the said Swarovski EL 10×50 Swarovision specimen I took it outside at night and pointed at several very bright street lamps. For comparison’s sake I also brought along the Leica Trinovid BA 10×50, the Leica Ultravid BL 10×42 BR, the Zeiss Conquest 10×32 HD and the Swarovski EL Swarovision 8.5×42. Swarovski EL 10x50 Swarovision and Leica Trinovid 10x50 BA. The binoculars seemed to work properly well against bright light, perhaps slightly weaker than its 8.5×42 brother but the difference was really insignificant. Both Leicas and the Zeiss performed worse for a change, due to spikes, created most likely on the edge of the prism roof. In the case of both Swarovski devices there were practically no spikes at all. I didn’t notice anything worrisome or any significant differences between optical paths. When it comes to overall contrast of images I decided to compare just two 10×50 instruments in order to use binoculars with exactly the same surface brightness. Once again there were no distinct differences. I would even say the Leica performed a tad weaker. In case of both binoculars I noticed some slight ghosting when I moved the lamp post toward the edges of fields but those I saw in the Leica were a bit more bothersome. I also had a peek at the interior of the tested model, an instrument, after all, carefully checked by the technical service of the producer. It wasn’t perfect - I had seen cleaner binoculars. A significant number of specks of dust on each of prisms was clearly visible. Dust can influence contrast of images a bit too. The next test I conducted during a sunny day. From my balcony I can see the sun over a distant block of flats so I looked at it (the building, not the sun) through the Swarovski 10×50 and the Leica 10×50. 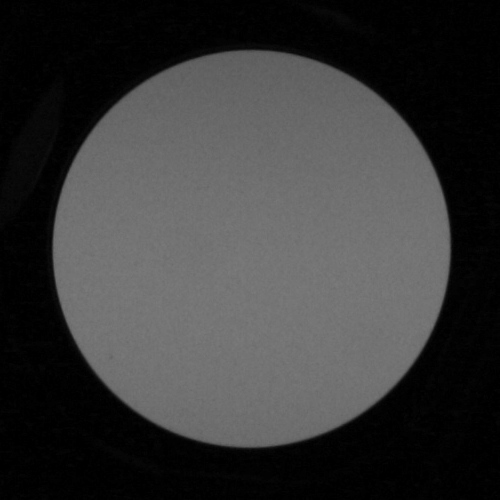 Indeed I could notice distinct light circles in images on the opposite side from the sun and their intensity was higher than the intensity of similar circles visible in the Leica. Still they depended on the position of the eye and the eyepiece. Personally I could position my eye in such a way that the flares disappeared almost completely. Here, I suppose, lies the source of problems of our Reader. Different eye sockets, different position of eyecups and elements against the eye mean different effects in a form of flares. A look at photos, presented below, might also help to explain the problem. In a duel what area around the exit pupils looks better against contrast light the Leica prevails without any doubts – it presents an image as close to ideal as it is possible, something you would like to see in every top-of-the-range piece of equipment. The Swarovski lags noticeably behind and this specimen is not just an exception; similarly looking areas close to exit pupils had also the 10×42 model. Additional problem, mentioned by our Reader, concerned the fact that the intensity degree of bothersome flares changed depending on optical path. It suggested a possibility of transmission issues. Was it really the case? A picture below might answer that question. For the majority of the range in which our eyes are the most sensitive the transmission difference between both paths amounts to about 2%. It is a level imperceptible to naked eye so it cannot explain effects observed by our Reader. On the other hand, though, there are parts of the spectrum where differences reach 3-4%. These areas aren’t big but still we don’t think such an effect should be present in a very expensive pair of binoculars. In this class of equipment I would allow differences no bigger than 1-2%, so barely exceeding a level of our measuring error. Have we clarified the doubts of our Reader? It’s difficult to answer that question. If I was an owner of this piece of binoculars, I wouldn’t have noticed any problems with the performance against bright light and I most certainly wouldn’t have sent it to the service for an extra check. This example emphasizes the fact that the choice of optical equipment is a very personal matter. 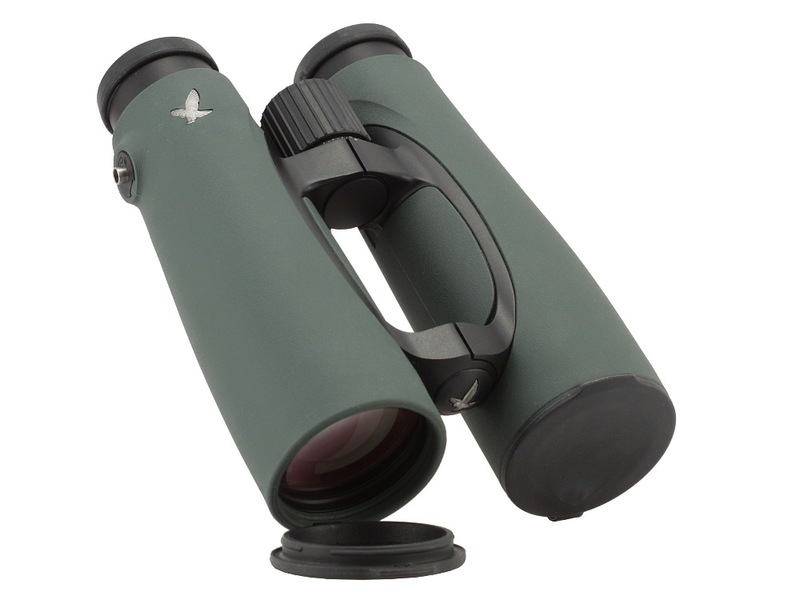 Of course you can read our reviews and tests, considering them to be pointers in the right direction, allowing you to choose a group of possible candidates, but before you buy anything you must take the binoculars in your hands and use it. 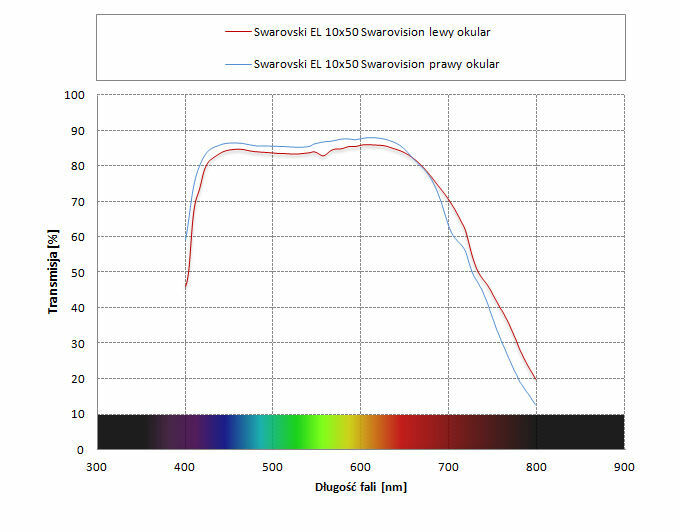 We have different eye sockets, a bit different sensitivity characteristics of our light detectors, different layout of rods and cones in our retinas and also individual sight defects. All these factors can influence our choice of a pair of binoculars; that’s why a piece of equipment which fares great in our tests might be perfect for another person but not for you. We had a very good example here. 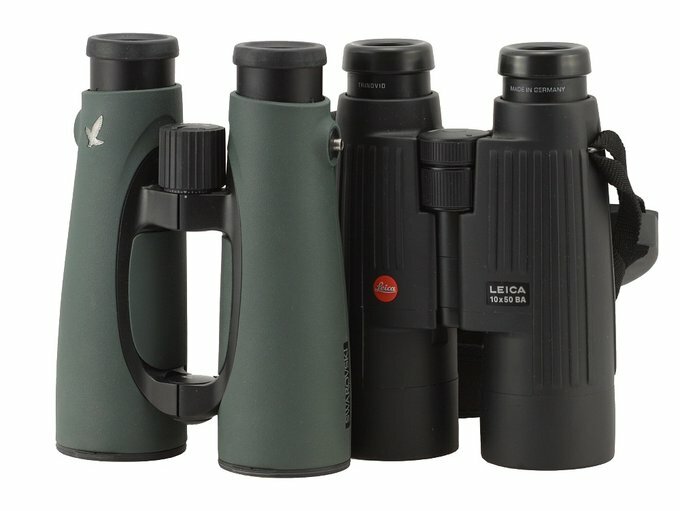 After all our Reader had bought – I don’t hesitate to say that – one of the best sets of binoculars available on the market and yet he is not entirely satisfied with it. Returning to our test - the Swarovski EL 10×50 Swarovision showed every feature that series is renowned for. 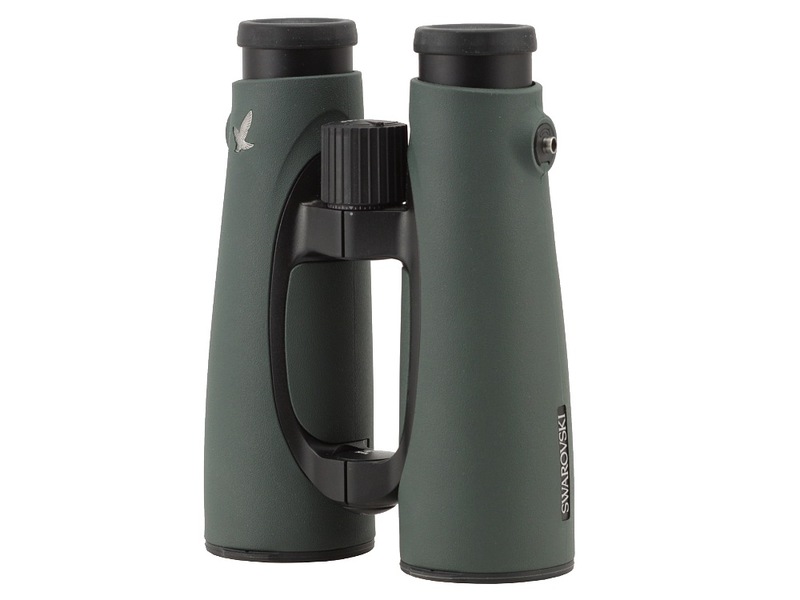 Excellent optics, sensationally corrected up to the very edges of a very large field of view, are closed in a very solid, weather-sealed, and pretty stylish casing. Our test also emphasized another tendency: even the best producers have started to save on quality control. Specks of dust shouldn’t have been inside the casing and the transmission should have been as high as in the previous 10×42 and 8.5×42 models examined by us earlier, closer rather to 90% than 85% like in our test. These slip-ups don’t change my opinion about the Swarovski EL Swarovision series. I still consider it to be one of the best, if not actually the best, on the market. Still the case of our Reader and minor flaws we found during our test show that even the most expensive binoculars should be checked before the purchase.